Made from a good quality clear transparent LDPE graded polythene plastic suitable for food + liquids, packed items are easily identified. 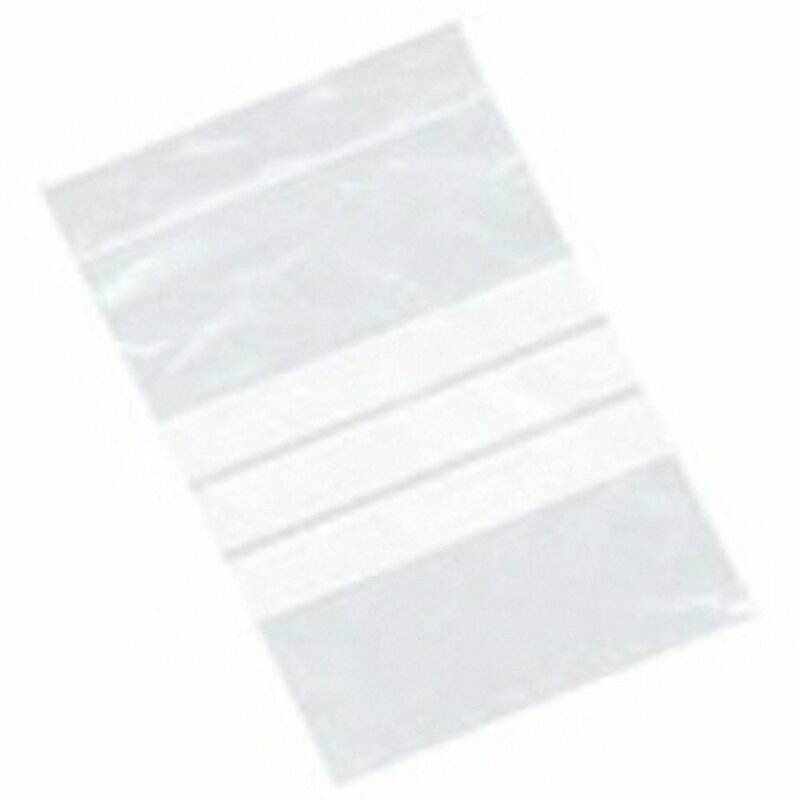 Size of the bag stated in the product title is the USEABLE Space of the bag, the size does not include the top grip seal section. These bags also have printed white strips across the bags, to enable you to easily label / write / mark each bag. A fast and convenient way of displaying, packing and storing your items. Pull the top lip of the bag apart to open the bag, once filled, close the bag by pressing/sliding the seal together. Once sealed, these bags become airtight.